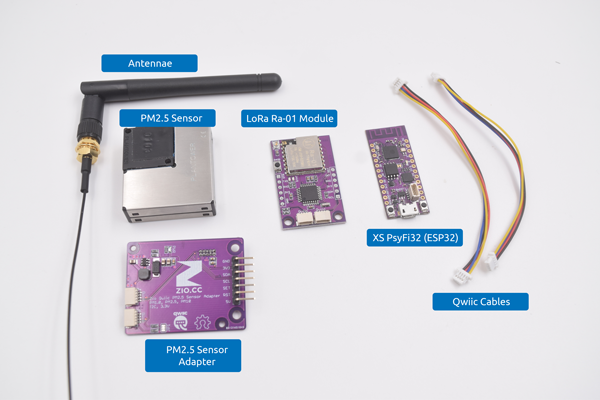 We will build a Particulate Matter detector using PM2.5 Air Quality Sensor, ESP32, UNO and LoRa Module. Particle Pollution, also known as Particulate Matter is a mixture of wide-ranging size of solids and liquids found in the air. Some of these particles (especially the small ones) can be harmful to our health because it is tiny enough to enter our lungs when we breathe. To measure this we need a particle pollution detector that can measure the air quality of the air that we breathe. To install the libraries open your Arduino IDE, go to Sketch tab, select Include Library -> Add .Zip Library. Select the above libraries to be included on your IDE. You can also check out this complete guide here. 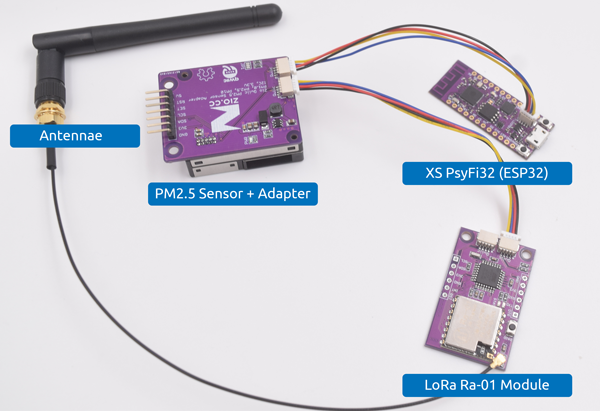 We need two Lora modules in order to send and receive data from our PM2.5 Sensor. We will call this as LoRa Receiver and LoRa Sender respectively. 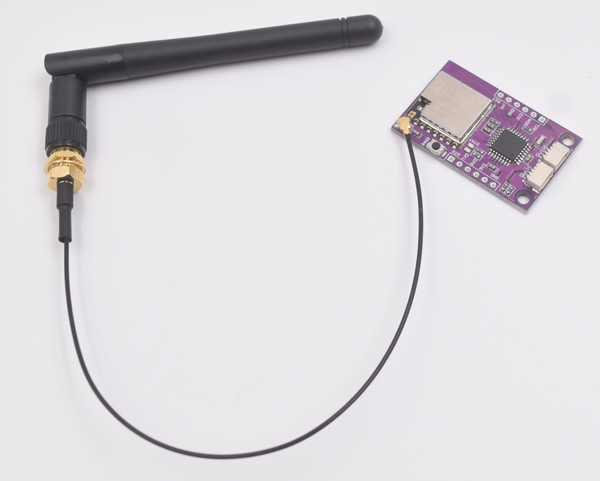 A Lora receiver will receive data collected by the PM2.5 Sensor and will output this on the OLED Display. 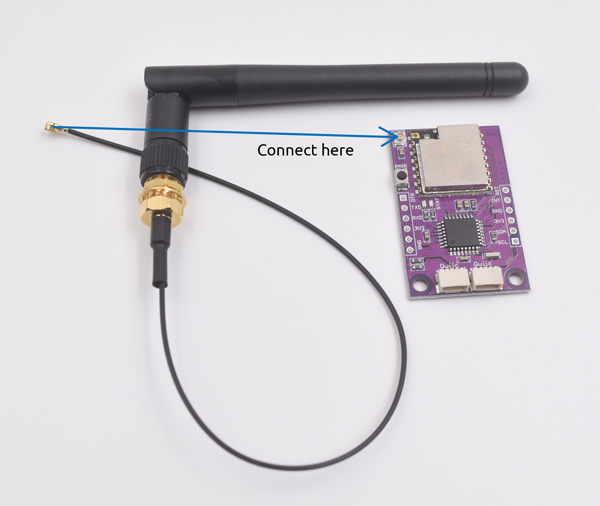 A LoRa sender is where the PM2.5 will be connected. 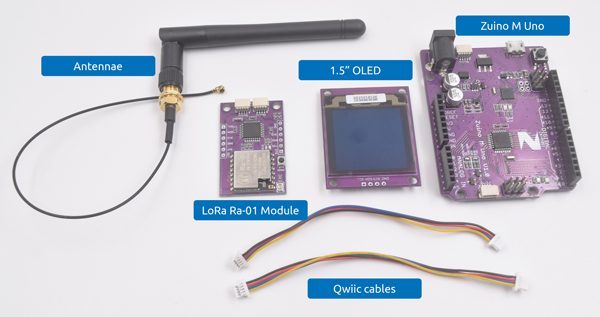 Below are the modules needed for the Lora sender. 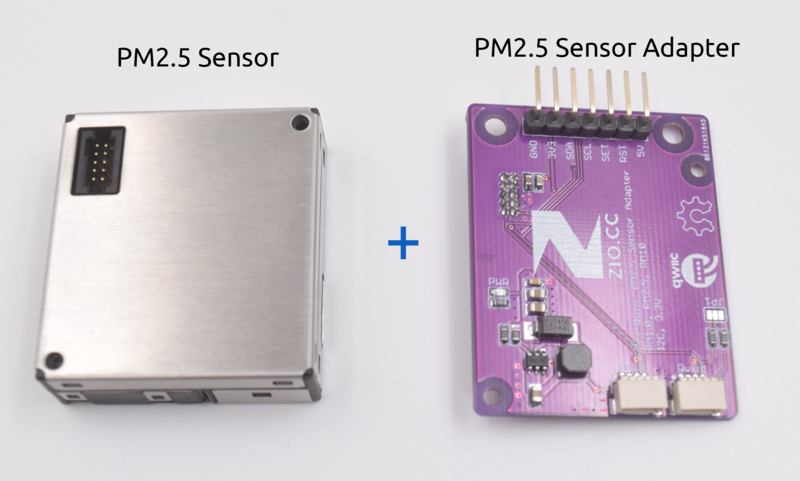 You need to attach the PM2.5 Sensor with adapter on the sender side inorder to detect Particle matter and measure the air quality. 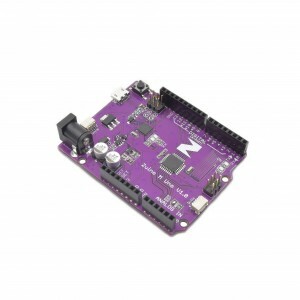 After setting up your Lora Sender, we need to set up the Lora Receiver. The data we have collected from the Lora Sender for the Particle Matter will be sent over to our receiver and displayed on the OLED. 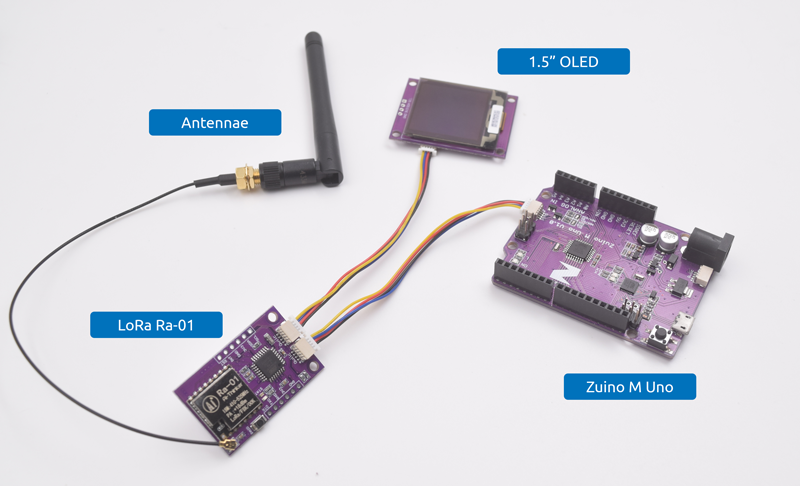 Below are the modules needed for the Lora receiver. 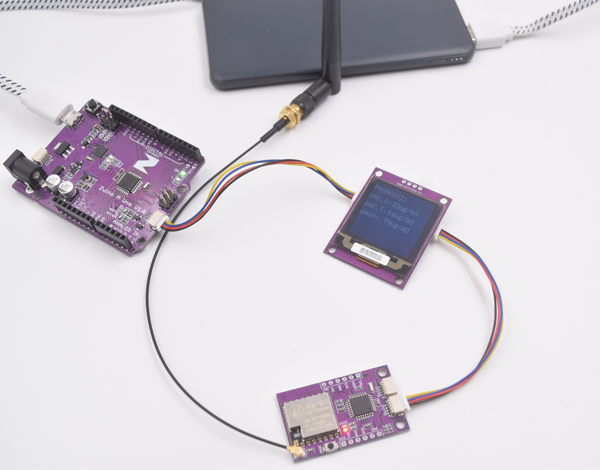 After connecting to a power source (we use a powerbank for this example), your Lora Receiver will receive data sent from your Lora Sender. There you have it. Your very own Particle Pollution detector all set up! You can record your data by connecting to an IOT platform dashboard and have it monitored in real time! 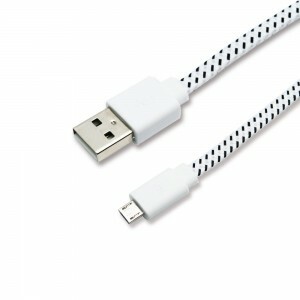 Do check out our other Projects and Tutorial blogs to give you that qwiic inspiration!